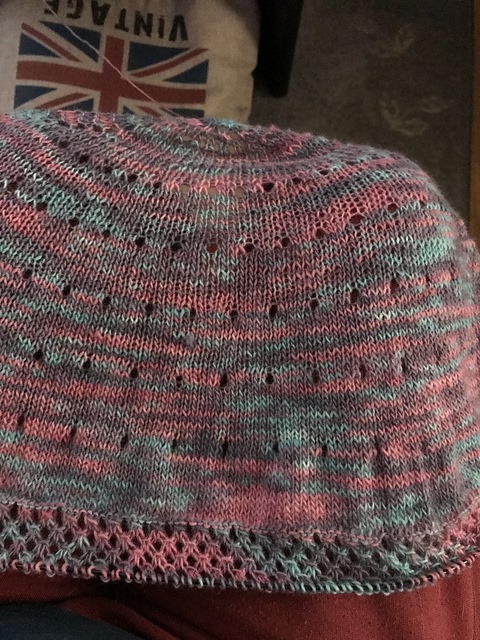 I have knitted this one already once but the yarn was wrong for it and so beautiful, so I frogged it so I can use that yarn for something else instead. 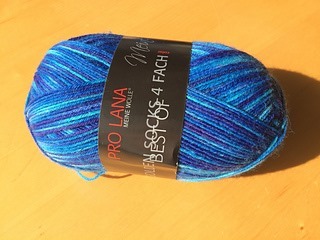 The yarn i was using was #Pro Lana Golden Socks 4-frach” in the colourway 932 and dye lot: 60988. Stunning blue colour. I couldn’t block it properly to get the points out in the lace and it ended up way to small and short. I would love to get my hands on more of this one in this colour but it looks like it’s a hard task. 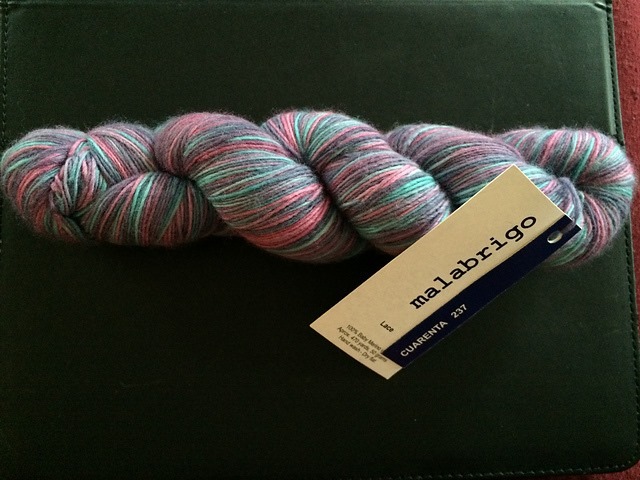 So now I’m knitting this again in Malabrigo Lace and the colour is: 237 Cuarenta. And this yarn is much better for this shawl. 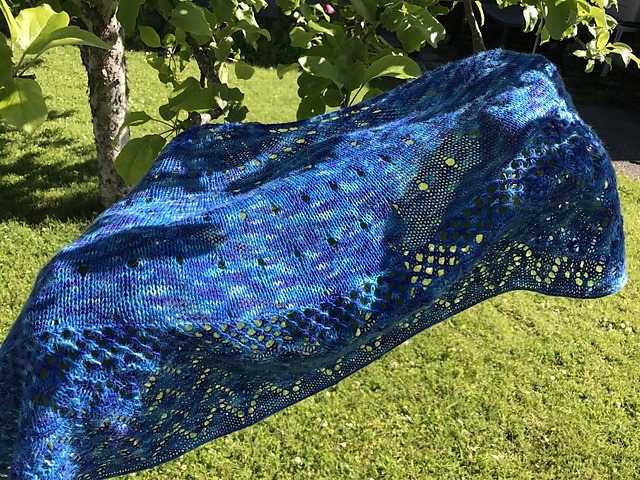 This entry was posted in Knitting / Stickning, Yarns / Garner and tagged shawl. « It’s time for me to finally knit a proper jumper! På pinnene, og ellers i hverdagen….